Chocolate, banana, and peanut butter combine beautifully to create the smoothest, creamiest, delicious, HEALTHY breakfast smoothie! Add collagen or protein powder of your choice to make it even better! 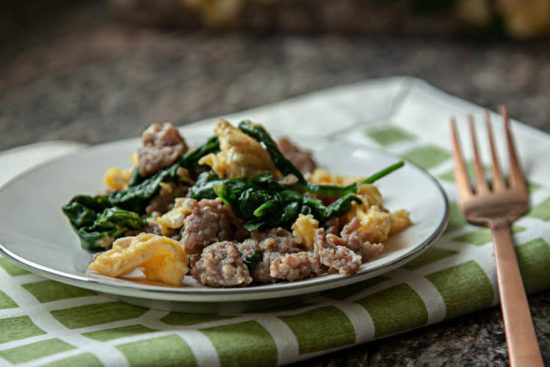 Spinach, Sausage, & Egg Scramble makes the best, healthy meal prep breakfast for rushed mornings. Take just a few minutes to make and keeps in the frig all week for easy reheating! This smoothie recipe is creamy and bursting with blueberry and pineapple flavor. With only 5 ingredients it takes less than 5 minutes to make making it the perfect on-the-go breakfast or snack! These peach mango muffins are fresh and delicious and are a PERFECT make ahead breakfast option for busy mornings!! Anyone with children knows that school and work mornings can be hectic and difficult. 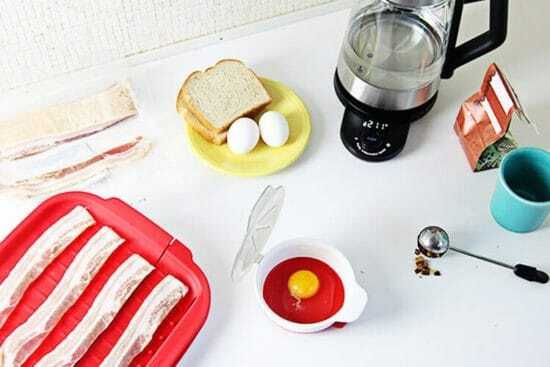 Having a good evening routine can help with the morning rush, as well as having the right tools to make a great nutritious breakfast, quickly. 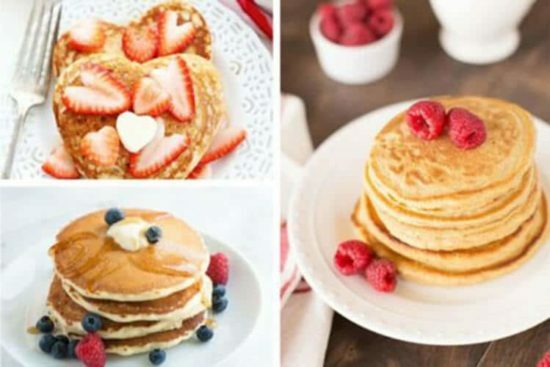 31 Savory, Scrumptious, Delicious, Mouthwatering Pancake Recipes you will not want to miss out on!